It's time again for a new Book of the Month! This month we selected Fresh Family Traditions as our April 2014 Book of the Month. 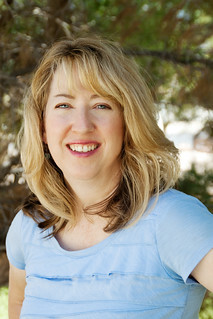 Sherri McConnell of A Quilting Life is here to tell you more about the book, and we are giving some copies away! But don't forget, the Book of the Month is 20% off all month long! Hi Everyone! It’s Sherri from A Quilting Life, and I’m super excited that my new book, Fresh Family Traditions, has been chosen as the Fat Quarter Shop Book of the Month! 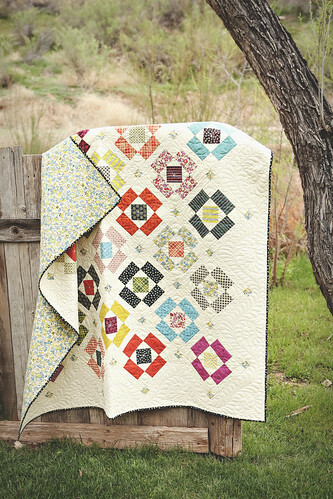 The Fat Quarter Shop Jolly Jabber blog was one of the first blogs I started reading — before I even started my own blog. I'm so excited to tell you more about my new book and give some away, and I hope you are excited too! The inspiration for Fresh Family Traditions came to me when I was nearing completion of my first book, A Quilting Life. I had borrowed some family quilts from my grandmother to use for some photos for that book, and I had the idea that it would be really fun to remake some of my great great grandmother’s designs in today’s fabrics. Several of the quilts in the book are based on some of these family heirlooms. I also thought about other things that inspire me to design quilts, whether it is the fabric or the block style, or even memories of my grandmother and great grandmother. 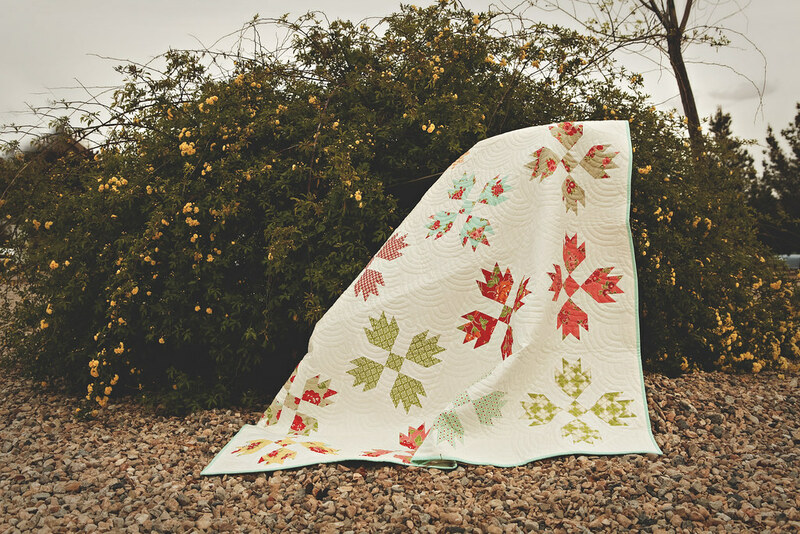 The cover quilt is based on a similar quilt made my Great Grandmother, and I named it “Kitchen Sink” because my fondest memories of her are of her teaching me to do dishes at her kitchen sink in Iowa when I visited as a young girl. 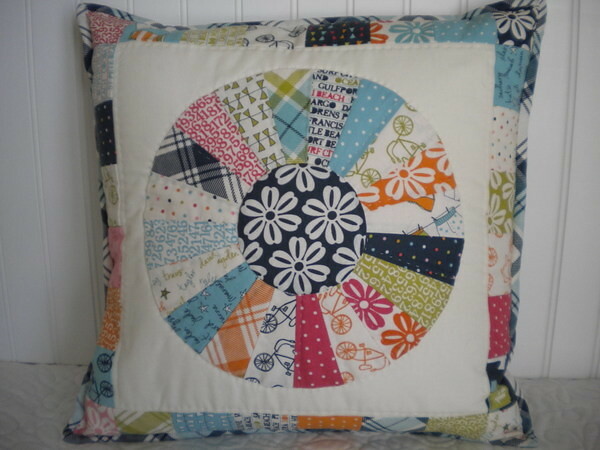 Because I love to use quilts to decorate in my home, there are projects of all sizes included: patterns for bed quilts, throws, wall quilts, several pillows and a table runner are all in the book. 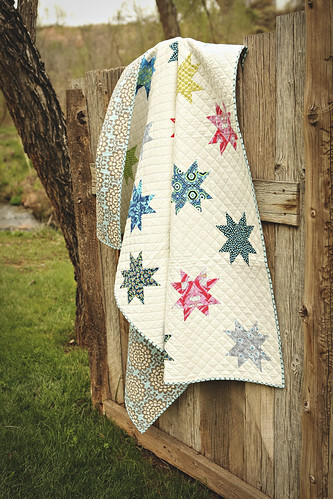 The projects range from beginner to intermediate level with many projects designed for use with your favorite pre-cuts! I hope you’ll enjoy this book and be able to create some of your own fresh family traditions through quilting! 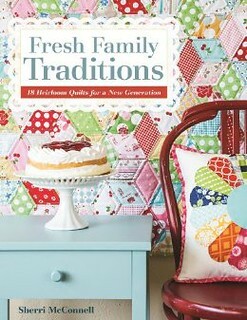 We are giving away three copies of Family Fresh Traditions, thanks to C&T Publishing! 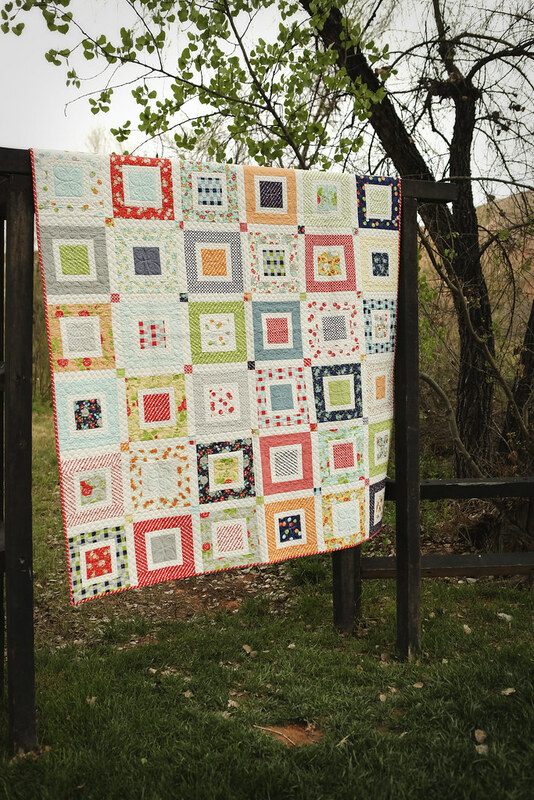 Check out Family Fresh Traditions, Sherri's blog, and leave a comment on here letting us know what quilty traditions you have or hope to start. Three winners will be chosen on Thursday, April 10, 2014. Be sure to include an email address in the comment. Good luck! UPDATE! Our winners have been chosen! Congratulations to Mary on Lake Pulaski, Quilt Nana, and quiltmom!